Truth can never be an attribute of a single object. Truth is the relation of similarity between two or more objects. 3 What about truth in math? 5 How to apply it? My parents, elders, priests and scientists often told me what was true and what was not. But why? I guess parents were the most honest about, that they didn’t have a clue. I jumped into philosophy to find truth about truth. 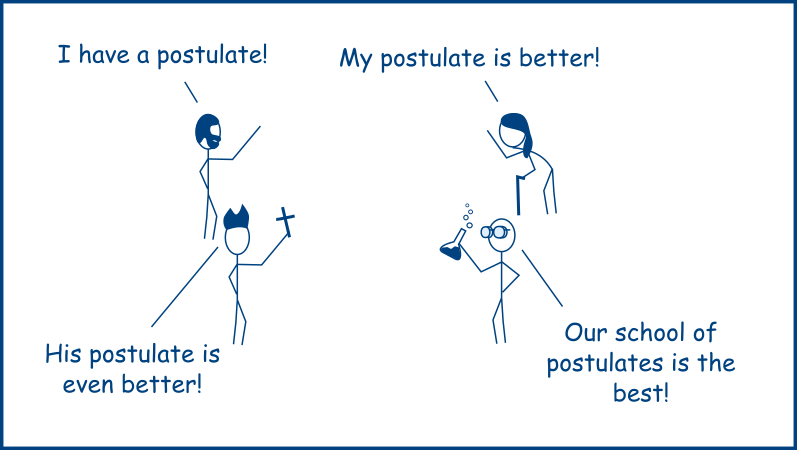 1st I found out, that there were a lot of postulates, which were considered true. Then I experienced, that philosophers did disagree which each other. Then I discovered the existence of multiple schools of philosophy, which accept some philosophers as “true” and view the others as sophists (liars, manipulators) or just mad ramblers. The correspondence theory: truth means a belief is true if there exists a fact to which the belief correspond. Realism: truth means a representation of an objective world. Anti-realism: truth means something verifiable. Truth Pluralism: truth can be multiple concepts and therefore ambiguous. To put it short: truth can be a fact, something objective, something verifiable or something ambiguous. What about truth in math? Can something true become untrue? Like 2+2=4? 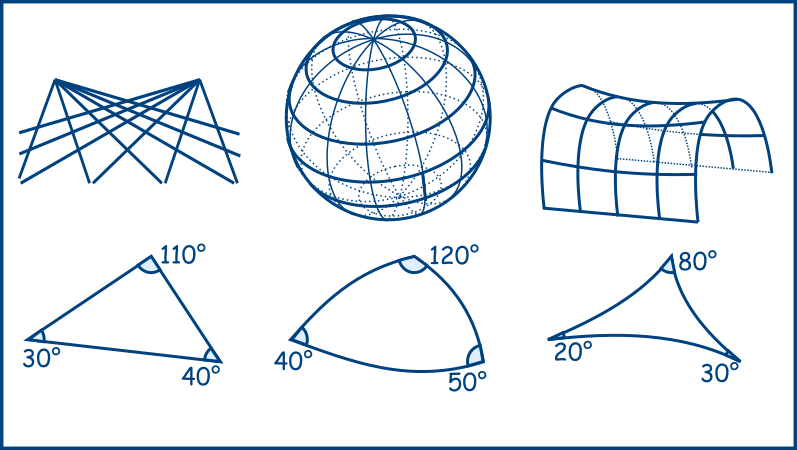 Riemannian proved that the sum could be greater than 180° when triangles are made on a sphere. 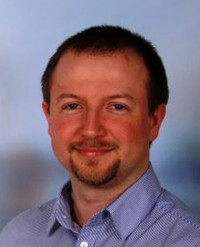 Lobachevski showed that the sum could be lesser than 180° when triangles are made on a hyperbolic figure. Was Euclidian wrong then? Only for triangles outside a 2D plane. 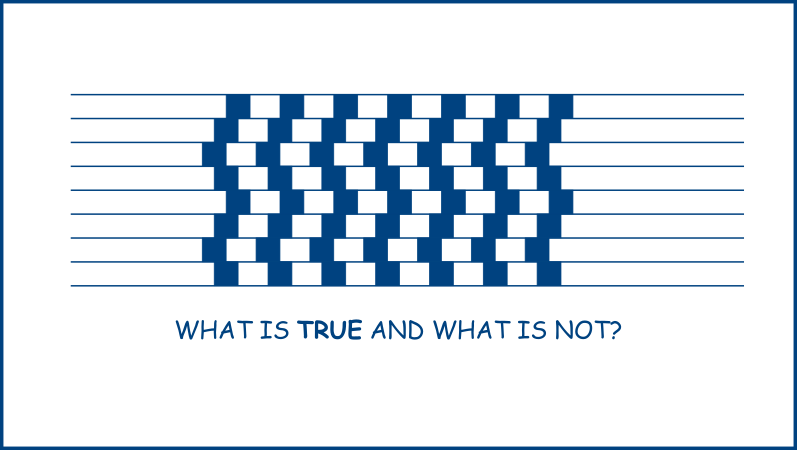 It means a truth depends on its environment or context (in math axioms). It means 2+2=4 can be true in one environment, while 2+2=11 is true in another. Our brain is excellent at differentiating between what is similar and what is different. ”Similar” does not even mean completely equal. Things can share similarities but can be completely different on other aspects. Math can help with that. Math gives the ability to differentiate even more: i.e. something can be greater or lesser. The difference can even be measured in numbers. You might get the illusion that the concepts or objects are true, but the truth-statement is only for the comparison and not for the compared. 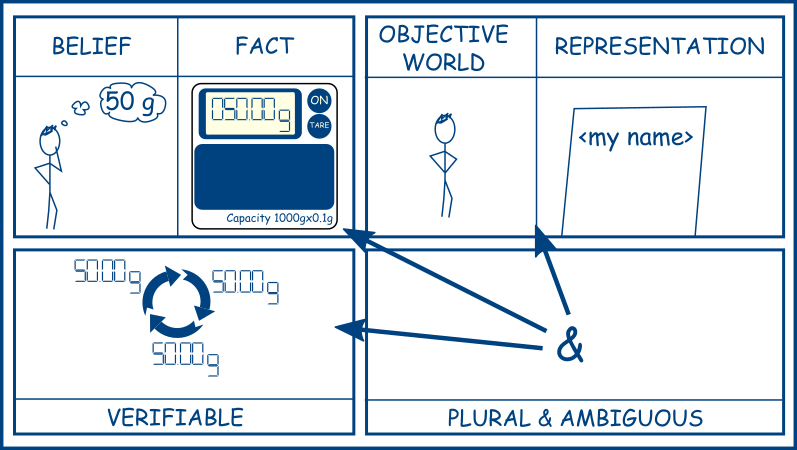 A fact is true when the similarity between the language statement (fact) and the objective world is verifiable. Something is objective when the measurements of it are verifiable. Verifiable means something will give the same or similar result when measured. Similar does not mean equal. Something may be equal in a particular context, but might also be completely different in another context. 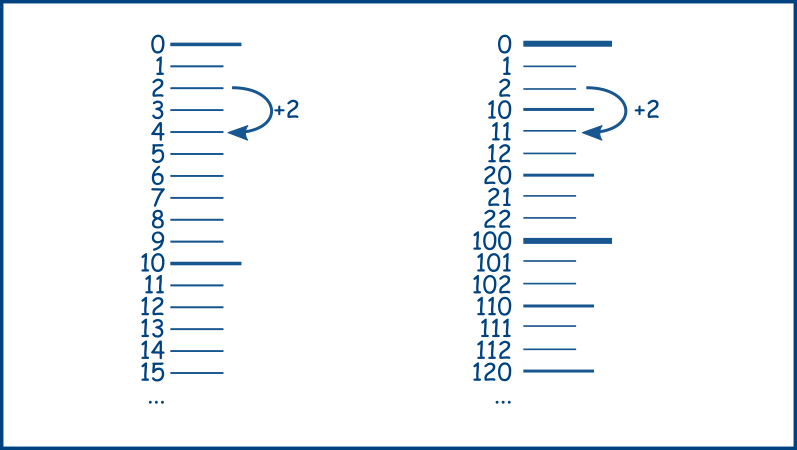 2+2=11 is false in decimal (base10: 0, 1, 2, 3, 4, 5, 6, 7, 8, 9, 10, 11, 12, … ). It enables us to better understand logic, religion, science, math, philosophy and paradoxes. When someone asks you, to tell the truth, what they mean is, that your language-statement must be similar to what happened in reality (i.e., the objective world). The statement “It is raining outside” is the only truth, when it is raining outside. (Because the language statement can never be true, but the comparison can. Religious truth is when there is a similarity in the subjective believe and the culturally accepted belief. Science is about comparing domain-specific datasets. Therefore a scientific truth is a similarity in the domain-specific datasets. Math and philosophy are about comparing “comparison systems.” and therefore meta-sciences. Boolean: True (Similar) or False (different). Operational: Greater than, Equal, Lesser than, etc. Numerical: How large is the difference. Geometrical / Multi-dimensional / Vectorial: Size of difference in multiple attributes. Algorithmic: Similarity in input/output, computation, etc. Not possible to compare (paradox). The paradox: “This statement is false” is a paradox, since “something different from itself” is incomprehensible and cannot be compared to anything. Supervised Deep Learning would be fed with truthful data. Unsupervised Deep Learning would create its own truth from the data it’s fed with.